Since the addition of the Integrated Reasoning section to the GMAT in June 2012, there haven’t been any major changes to the exam. According to the GMAC, over 200,000 people have now taken the GMAT with IR included. However, they are still proving the validity of the new section, so it’s not likely to be a big factor during the 2013-2014 admissions cycle. Integrated Reasoning may become more important in 2014. 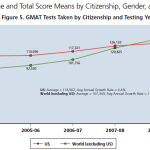 The most recent GMAC data I could find indicates that in the year ending June 30th, 2012, about 280,000 people took the GMAT. That was an increase of 11% over the previous year. It appears that the increase came from more international students taking the exam, while the U.S. number was flat. Overall applications for MBA programs had a large decrease in 2010 and 2011, but were up considerably in the 2012-2013 admission cycle. It appears this trend is continuing this year. 1. 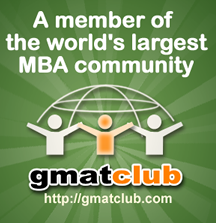 The largest GMAT forums are still gmatclub.com and beatthegmat.com. Both of these sites have a wealth of resources for both the GMAT and MBA admissions. My personal preference is for beatthegmat, where I participate in the forums as “TheGMATTutor”. 3. An exciting new development in the test prep world is The Economist GMAT Tutor (1 week free trial and $75 discount available with code 15THEGMATTUTOR). This is a full online class, but in a new format: it’s interactive. Instead of watching a static video, you interact with the course by periodically answering questions. Just like the actual GMAT, the Economist software is adaptive: if you get questions right, it will quickly proceed through the lesson, and if you get questions wrong, it will provide explanations and repeat the concept. At any point, you can click an “Ask A Question” button to email an instructor. I’ve done it several times and usually get a response within a day. 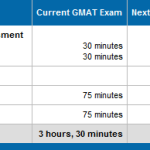 Supposedly the Economist GMAT Tutor course takes between 80-100 hours to complete all the material, which is the about the average amount of time spent that students spend on GMAT prep. With the discount code, the cost is $475 for three-month access to the online platform. This price includes 4 one-on-one online tutoring sessions, 3 practice exams, 4 marked AWA essays, and a 50-point score increase guarantee. I’ve written a more detailed review of the Economist GMAT Tutor here. 4. The GMAT Pill ($40 discount available by using promo code TUTORME40 through this link) has continued to make updates to their product, with an interactive Practice Pill platform and apps for phones and tablets. The Practice Pill platform is free, and it allows you to see the % of people that got a particular question correct. Hundreds of people have answered each question. The course now has over 60 hours of video. 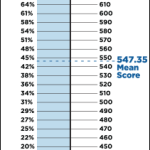 Does a GMAT score of 750 increase your chances of admission more than a score of 700? The Economist GMAT Tutor: A complete interactive course for the exam. Read my review here or get a one week free trial available through this link. GMAT Pill Online Video Course: A complete online video course. Read my review of the GMAT Pill here or get the full course for a discounted price of $437 by following this link. Total GMAT Math: A great source of GMAT sample questions. Read my review here.